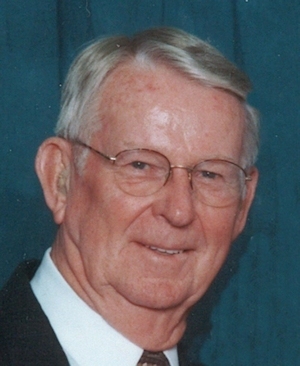 Obituary – O’Neil, Laurence Marion “Pat” « Perry High School Alumni Association, Inc. 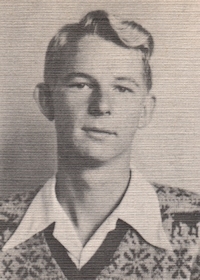 Vice-President of Home Room ’45-’46. Born August 16, 1928, Pat O’Neil peacefully started his new life October 16, 2013. The youngest of 9 children, he was born “Laurence Marion O’Neil” to Charles A. and Edna V. O’Neil in Okmulgee, Oklahoma. He was given the nickname “Pat” by a neighbor lady known to the family as “Aunt Sudie Throckmorton”. Pat always said that he could never remember his parents, brothers or sisters calling him by any other name than Pat. Pat attended school in Okmulgee through the third grade when he moved with his family Holdenville, Oklahoma in 1937. During his time in Holdenville, Pat was awarded his Eagle Scout Badge while a member of Troop 12, Boy Scouts of America. In 1945, Pat moved with his parents to Perry, Oklahoma, where he graduated from high school in 1946. Pat attended the University of Oklahoma and Oklahoma A&M College. In 1950, Pat was mobilized for the Korean War as a member of Company 1, 179th Infantry, 45th Infantry Division. Upon arrival at Camp Polk, LA, he transferred to Headquarters and Service Company, 120th Engineer Combat Battalion of the 45th Infantry Division. After training in Louisiana and Japan, the unit was sent to Korea where Pat served as the Battalion Operations Sergeant attaining the rank of Master Sergeant. After returning home, he attended OSU again and then became associated with his father in the Chas. A. O’Neil Well Service, Inc. until selling out in 1965. From there he went into sales retiring in 1998. He was most proud of the work he and his brother Herb did volunteering at the 45th Museum for several decades. Pat is survived by his wife of 25 years, Judy O’Neil, two daughters: Marianne Kirkpatrick and husband Dave of Beaumont, TX, and Lynn Downey of Perry, OK. Two step-sons: David Potrikus and wife Crystal of Racine, WI, and Craig Potrikus of Weatherford, TX. and son-in-law Jim Conger. Four grandchildren: Elizabeth Frazier and husband Robbie of Perry, OK, Nicole Conger of San Antonio, TX, Joseph Kirkpatrick of Baton Rouge, LA, and Austin Potrikus of Racine, WI. Three great-grandchildren: Garrett and Cameron Frazier of Perry, OK and Paige Potrikus of Racine, WI. Also one sister: Catherine Lynch of Nowata, OK. Also numerous nieces and nephews. Pat was predeceased by his parents Chas. and Edna O’Neil, sisters Peggy and Louise, and brothers Joe, Don, Herb, Forrest, and Arnold, and step-daughter Deborah Conger. In lieu of flowers, the family requests memorials to St. Lukes United Methodist Church Foundation, 45th Infantry Museum Association, or Perry BSA (Boy Scouts) Troop 912. The 2:30 p.m. service will be held Saturday October 19, 2013 at St. Lukes United Methodist Church in Oklahoma City.